In August, 2014, a video of the public execution of American photojournalist James Foley rippled across the globe. That image challenged the world to deal with a new face of terror. And it tested one American family. 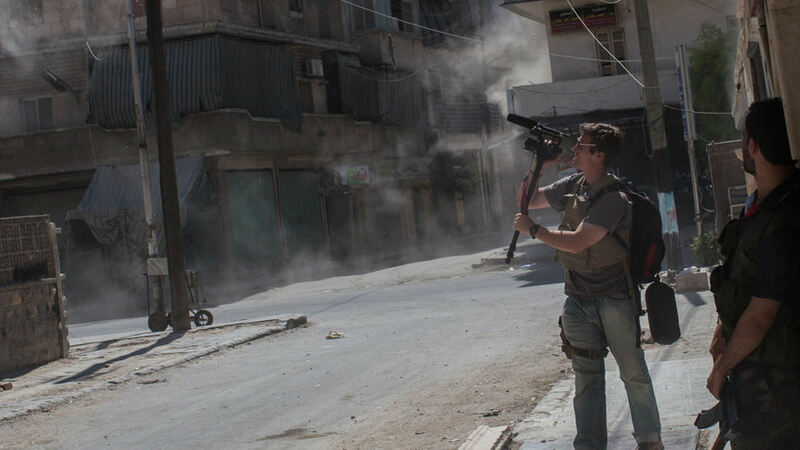 Seen through the lens of filmmaker Brian Oakes, Foley’s close childhood friend, Jim takes us from small-town New England to the adrenaline-fueled front lines of Libya and Syria, where Foley pushed the limits of danger to report on the plight of civilians impacted by war. On Thanksgiving Day 2012, Jim Foley was kidnapped in Syria and went missing for two years. Thrown into a world of false leads and misinformation, the Foley family was threatened with prosecution by the U.S. government if they paid a ransom. In Oakes’s gut-wrenching film, Foley’s family, friends, and fellow journalists tell Jim’s story, while his fellow hostages reveal the details of captivity with chilling immediacy. Brilliantly constructed with unparalleled access, Jim is a harrowing chronicle of bravery, compassion, and pain at the dawn of World War ISIS. "An incredibly moving and human portrait"